One of the many things I am grateful for is my love of nature, and the restorative and uplifting effect it has on me. Whenever I am away from my home in NYC, presenting at conferences, universities or to other populations – I have never, so far, failed to discover either lovely locations close to wherever I am staying, by ocean, lake, river, or by parks or forests, or charming areas in cities – perhaps with pleasant tree lined streets: places where I can walk, reflect, look around and admire the beauty around me. This happened in May, when I attended and presented at the annual Adlerian conference which was held in Minneapolis. Though the hotel in which attendees stayed was surrounded by roads and highways, just a 10 minute walk took one to a lovely lake and areas near it with beautiful trees and other plants growing, melodic birds and tranquil calm. That’s where I took myself on the Sunday afternoon, sunny and mild after previous days of some cool and rainy weather. I felt very warm after about an hour of my walking, so I removed my hoody and rolled my jeans up to below my knees, more comfy in light t-shirt and cooler calves. As I walked around the lake, admiring its shimmer, color, resident ducks, geese, goslings and many ducklings, I saw close to the banks of the lake and very close to the path I walked on, a number of low lying branches and logs on which a good number of tortoises sat, dozed, played, procreated (at least I think that was what they were doing or attempting to do!). So nice to see these tortoises doing that which their inclinations dictated they do in the balmy warmth of the sun. Wanting to get a better look at them and take photos, I moved slowly and quietly, positioning myself closer to them, treading on the tough grass-like plants between me and them. Snap, snap, snap went my camera as I took some photos of these contented reptiles, until – OUCH – I felt a swift sharp pinching pain on the lower part of my calf. As I looked down I saw a spider scamper away. It was of medium size – shiny black body, and long thin legs. Allow me please to share some background with you about me, for those readers who know little or nothing about my past, as this writing cannot reveal to you my Aussie accent. Yes, I was born and raised in the remarkable continent down under. You may have read, learned or heard about some of the unique creatures there, for example, the platypus: the only mammal that lays eggs, has webbed feet and a bill like that of a duck, a tail like that of a beaver, and a body shape and fur like that of an otter. The male is venomous. You may have also heard, read or learned that many other Australian creatures are venomous. Particularly some of the spiders. Given that background, it would not be unusual for any Aussie, former Aussie, and non-Aussie alike, to feel far from apathy following such a nip by a fast moving, shiny, 8-legged creature. 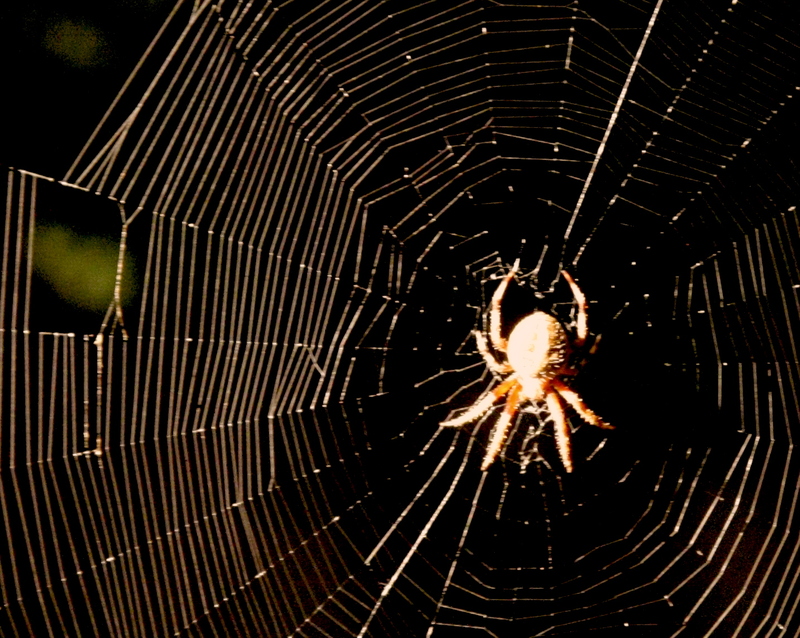 See the spider waltz away and think something like: “ It is probably poisonous, I might die”, and through ensuing panic, develop symptoms such as increased heart rate, fever, shortness of breath, difficulty breathing, trembling, and fall on the path shaking in fear till some kind person finds them and calls 911. (Though the symptoms described above are those brought on by panic, they can also be symptoms associated with some spider venoms). Rushed to the ER, one is found, after close examination and blood tests, to be free of spider, or any other, venom in one’s system. One also then realizes that simply as a consequence of thinking fear-inducing thoughts there can be a most dramatic impact on the functioning of the body. Rushed to the hospital…venom is found, and one survives thanks to the body’s immune system and/or anti-venom treatment. Rushed to the hospital…venom is identified but too late to remedy and death ensues. Does that sound too stoic, fantastically far-fetched, fictional and lacking in credibility? It may come across that way for some of you, but I promise you, it is the truth. I was able to reason with myself, stay steady, and seek productive action. Which in this case was asking some of the locals who were walking around the lake for their knowledge and suggestions about what to best do. I was indeed fortunate that it was a time of day when others were around and I was able to reach out. A kind looking woman, a local, Linda, was the first person I saw and reached out to, explaining what had happened, and describing the spider as well as I could. She told me that she that she had lived in the area for decades, didn’t think it was poisonous, and reassured me that few local spiders were so. She shared with me that her understanding was that sometimes local spiders bite, but don’t always inject venom when doing so. Looking at the puncture marks, she said the bite didn’t look too bad, but suggested that if in some hours the area became more inflamed and the area around bite looked black – to go seek treatment. Listening to her gave me realistic hope that I would recover from the bite, and I felt grateful to her and for the fact that the situation did not seem too dire. All the while I remained mindful of my breathing, pulse and temperature, attempting to stay alert to any striking changes in any of the above. As I walked back to the hotel, I noticed that the bite area ached more, and thought it would be good to seek more information if I could. Heading towards me I saw a calm looking man and woman walking their dog, and I spoke to them.They looked at the bite, and said it did not look too bad. The woman immediately Googled venomous spiders known to inhabit that area – which only revealed the Black Widow spider, and when I saw a picture of it on her Smartphone l felt relief as it didn’t look like the one that had sunken its teeth (do spiders have teeth? ), fangs or whatever, into my flesh. Her husband suggested my going back to the hotel, icing the affected area, elevating my leg – and if there was an increase in swelling or redness or the color turned dark and black – to quickly go to an emergency treatment center. We exchanged names, and to my sweet surprise, some hours later they emailed to check on me. Such care and kindness. I found out later that he is a surgeon at the Mayo clinic. I was indeed very fortunate to have met these three kind and knowledgeable people. But let me get to what I most want to share with you, my readers. The calm and steadiness that I experienced, which surely prevented any intense fear, panic and panic attack symptoms, was not a result of being born with the stoicism of Epictetus and the courage of lions. It came as a result of years of ongoing application of the principles of Rational Emotive Behavior Therapy (REBT). In other words, it came as a result of practicing healthy thinking, in times of ease and times of challenge. It came as a result of being mindful, thinking about my thinking on a regular basis, CHOOSING to dispute irrational beliefs and then replace them with healthy rational ones. It took me making regular and frequent effort to keep things in realistic perspective when challenging things were happening, to zap any awfulizing tendencies, to keep myself largely in the present – and not allow myself to adopt a catastrophizing manner of worrying about “what will or would or could eventuate”. The result of exercising the brain and thinking process in this way with strong determination, instead of succumbing to panic-inducing thoughts, is not apathy – but healthy motivating concern, and a clarity of mind that encourages life-enhancing actions in just about any given circumstance. The more we practice mindfulness, thinking about our thinking, and choosing to think in healthy ways which create healthy and non-debilitating emotions, the easier it can be to remain steady, stable and alert during times of concern. It is possible for most people who are not cognitively impaired to choose to practice watchfulness of thoughts, emotions and behaviors, and to make ongoing effort to eliminate self-defeating and panic-inducing thoughts and attitudes. This can benefit us in practically any circumstances – even those of extreme brutality such as the mass murder that took place in a club in Orlando. Perhaps I will write about that in a future blog. My main point here is that the sooner we start practicing healthy thinking, during both times of ease and times of challenge, the better equipped we can find ourselves to handle difficult events of varying degrees, from mild to extremely bad. The stoic attitude I benefitted from as described here, is not one I am recommending that we aspire to creating in every situation and circumstance. What I recommend is the embrace of the variety of non-debilitating human emotions, both pleasant and less pleasant. And to realize that it is not circumstances that will create what we feel, but the perspective we choose to take about those circumstances that will do so. We have the power to create our emotional destinies. I am not always “stoic” – far from it. I choose to feel joy, grief, concern – depending on the situation and circumstance. At times I shed tears of joy, and also tears of pain when cruel things happen. That’s healthy. Doing so doesn’t debilitate, and is enriching. And when it can literally save my life and enhance my well-being to be stoic, I can choose to focus my mind and not let catastrophizing thoughts create swirling streams of fear and panic that spiral me down to debilitation or worse. With discipline, thanks to prior practice, I can focus my mind in such ways that allow practical thinking and productive actions when scary stuff happens. So can you. This essay was originally published in Psychology Today. Dr. Debbie Joffe Ellis is a licensed Australian psychologist, licensed New York MHC, and adjunct professor at Columbia University TC. She presents and teaches in her home city of New York, throughout the USA and across the globe. She is also one of the featured speakers at this year’s STOICON. The harsh truth is that many students around the world will never receive any philosophical education whatsoever. Philosophy is often viewed as a useless exercise reserved for scholars in ivory towers. Curricula for primary school aged children is rare, especially in the United States, and some academics question whether pre-adolescents are even capable of philosophical inquiry. That assertion likely rests on the premise that philosophy is ultimately something more theoretical than practical. It overlooks the potential for discerning parents and caregivers to teach young children how a philosophical outlook can make their lives happy and meaningful. Where can parents find a curriculum that might help kids to develop a strong character and deal with the challenges that life will inevitably throw at them? What if such a formula is a ready-made for introducing young children to philosophy at home, through hands on activities and dialogue? That there is not one set of virtues for a man and another for a woman is easy to perceive. In the first place, a man must have understanding and so must a woman, or what pray would be the use of a foolish man or woman? Hence I hold it reasonable that the things which have reference to virtue ought to be taught to male and female alike; and furthermore that straight from infancy they ought to be taught that this is right and that is wrong, and that it is the same for both alike; that this is helpful, that is harmful, that one must do this, one must not do that. From this training understanding is developed in those who learn, boys and girls alike, with no difference. How could we become prudent if we had come to recognize what things are truly good and what evil, but had never had practice in despising things which only seem good? Therefore upon the learning of the lessons appropriate to each and every excellence, practical training must follow invariably, if indeed from the lessons we have learned we hope to derive any benefit. Well then, if it is necessary for both [boys and girls] to be proficient in the virtue which is appropriate to a human being, that is for both to be able to have understanding, and self-control, and courage, and justice, the one no less than the other, shall we not teach them both alike the art by which a human being becomes good? Yes, certainly we must do that and nothing else. I believe that Musonius Rufus’ 2000 year old educational blueprint has a lot to offer astute modern parents and caregivers who wish to guide their young children towards a resilient and philosophical view of life. One quick word of caution, though, before we delve into the specific lessons that a Stoic parent might teach. We as parents must set a good example. While it’s not about being the perfect parent, there is no use in teaching standards which we don’t at least try to live up to. Children are quick to spot hypocrisy, so don’t be afraid to admit your mistakes to your child. It facilitates the process of learning about virtue. Drawing on Musonius’ apothegms which survived antiquity, we can derive some character-building exercises useful for laying the groundwork necessary for excellence. Musonius specifically suggests education based on each of the four cardinal Stoic virtues. Are not all these [material] things superfluous and unnecessary, without which it is possible not only to live but also to be healthy? Are they not the source of constant trouble, and do they not cost great sums of money from which many people might have benefited by public and private charity? How much more commendable than living a life of luxury it is to help many people. How much nobler than spending money for sticks and stones to spend it on men. Look for creative ways to help children learn to value kindness and generosity over consumerism. Explain to your child that advertisements are designed to get their money. “Those five dollars you have in your pocket – they want that!” Explain that what is truly important is being kind and charitable when you can afford to be, rather than accumulating things you don’t really need. Consider having your child assist an elderly relative, pick out some of their toys to donate to a charity, or perhaps save some of their money to give to a good cause of their own choosing. Speaking generally, if one devotes himself to the life of philosophy and tills the land at the same time, I should not compare any other way of life to his nor prefer any other means of livelihood. For is it not “living more in accord with nature” to draw one’s sustenance directly from the earth, which is the nurse and mother of us all, rather than from some other source? Is it not more like the life of a man to live in the country than to sit idly in the city, like the sophists? Who will say that it is not more healthy to live out of doors than to shun the open air and the heat of the sun? Tell me, do you think it is more fitting for a free man by his own labor to procure for himself the necessities of life or to receive them from others? You might encourage determination by having your child help with some reasonable activity for his or her age, such as cooking, chores, gardening, or yard work. Children can build confidence by acquiring these life skills. 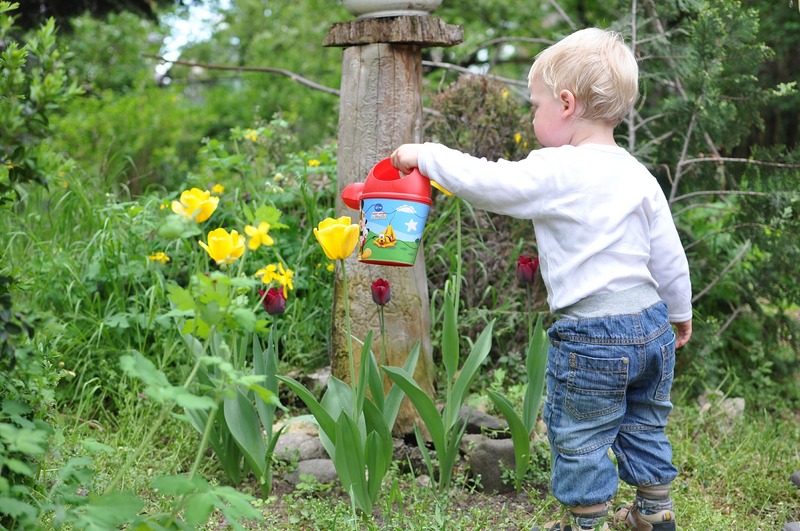 Gardening is especially educational for children since it involves delayed gratification, and occasionally, the lesson that hard work doesn’t always lead to a reward. Determination is required while seeding, watering and cultivating plants, and only later enjoying the food that you have grown. Emphasize the importance of working hard to take care of yourself and your household, and of persevering through any setbacks and disappointments that arise. Children should be praised for success, but also for conscientious efforts that are not successful. Words of advice and warning administered when a person’s emotions are at their height and boiling over accomplish little or nothing. Children are little people with big emotions, and they need help dealing with them until they are old enough to exercise self-restraint. Parents should wait until children are calm to offer correction or help navigating strong emotional reactions. Suggest taking some deep breaths or a perhaps time out until the child is able to discuss the situation calmly. Ask your child whether, for example, their angry reaction was particularly helpful. Were their words hurtful to someone else? Did they make a good decision? What can they do differently in the future? If you as the parent overreacted or got angry, apologize and offer to do better next time. What else is gluttony but intemperance in the matter of nourishment, causing men to prefer what is pleasant in food to what is beneficial? Exercising moderation and decorum in eating, demonstrating one’s self-control there first of all, not an easy thing to do, but one which requires much attention and practice. Teach your children that eating is primarily about nourishing the body rather than enjoyment. You only get one body, and it’s important to keep it in good health. Speak with them about why certain foods are healthy and nutrient dense, and why others, primarily sugary and processed foods, are not. An occasional treat is ok, but we should encourage children to eat a variety of natural, healthy foods rather than habituating them to gorge on junk. You must set a good example of healthy eating yourself. The best viaticum for old age…the very one that is best for youth too, namely to live by method and in accord with nature. You would best understand what this means if you would realize that mankind was not created for pleasure…For the nature of each guides it to its own excellence; consequently it is not reasonable to suppose that when man lives a life of pleasure that he lives according to nature, but rather when he lives a life of virtue. Then, indeed, it is that he is justly praised and takes pride in himself and is optimistic and courageous, characteristics upon which cheerfulness and serene joy necessarily follow. The method Musonius refers to may be the Stoic practice of evening review, which involves reflecting on what you did well or poorly each day, and figuring out how to improve your conduct going forward. At the dinner table, or at bedtime, talk with your child about how the day was for both of you, discussing what went well and what went badly. Did you miss any opportunities to do something good for your personal growth? It is helpful for children and parents alike to reflect on their own conduct, comment on their personal shortcomings, and brainstorm solutions for self-improvement. Wisdom is not something we acquire overnight; we are always working towards it. Lutz, C. (1947) Musonius Rufus, the Roman Socrates. Yale Classical Studies 10 3-147. King, C. (2011) Musonius Rufus: Lectures and Sayings. CreateSpace Independent Publishing Platform. Leah Goldrick recently became a practicing Stoic as a result of her ongoing inquiry into the Western wisdom traditions. She holds a Bachelor’s Degree in Philosophy and a Masters in Library and Information Science from Rutgers University. She used to be an archivist for the Presbyterian Church, and is now a part-time children’s librarian and blogger. She lives in the United States with her husband and infant son. Her website is Common Sense Ethics. Two months back, I wrote a short piece setting out several insights and resources stemming from Epictetus’ Discourses, focusing specifically on how to understand and deal with anger felt, expressed, and acted upon by other people. I also promised a second piece, following up by setting out the practical wisdom Epictetus has to provide us bearing upon our own anger. Here in this blog post, I will partially make good on that promise, but also kick the proverbial can a bit further down the road by deferring some of the necessary discussion to a third and later post about Epictetus on the emotion of anger. In that piece, I plan to expand on the considerations and techniques for dealing with anger mentioned at the end of this post, and to examine the importance of reworking habits for managing anger. The choice to confine this post to a manageable length is a deliberate one, and the main reason for it is that this topic (Epictetus, his discussions of anger, and their applications in the present) turns out to be one upon which a great amount can be said. After consideration of the resources for understanding and addressing anger contained in Epictetus’s works (not to mention Seneca, and to a lesser extent, Marcus Aurelius), I’ve embarked upon a new large-scale research and writing project, intended to culminate in what will be a (hopefully short) book on Stoicism and anger. Later on this Fall, I’ll be providing a workshop on that topic, including practical resources for managing anger, at Stoicon in New York City (and likely some additional workshops and talks on the topic during the Stoic Week that follows). For the present, here are some of Epictetus’ contributions to thoughtfully and productively dealing with anger. There are numerous passages within the Discourses, in which Epictetus makes some reference to anger in one of its various aspects. Piecing these together provides a coherent and fairly systematic approach to understanding, controlling, lessening, and hopefully even ending one’s own anger. We are particularly fortunate, though, in that beyond those scattered discussions, there are actually several chapters of the book devoted specifically to Epictetus’ teachings about anger. One of these is chapter 18 of book 1, titled “That we ought not to be angry with those who make mistakes.” That sounds like a sentiment that most of us can get behind, at least in principle. But, what sort of mistakes does Epictetus have in mind? Failing to hold the door open for someone laden down with packages, because one assumes they are going past the doorway? Failing to follow a recipe and serving a less than appetizing dish for dinner? Mixing up a coworker’s name with someone else’s in introducing him or her? The sorts of mistakes or errors (hamartiai) Epictetus cautions us about in that chapter are wider and deeper reaching, reflective of mistaken viewpoints that fundamentally motivate a person. The kinds of people he has in mind are thieves, robbers, and adulterers. It seems natural to get angry at people like that, people who we think are not just making a small or innocent mistake, but actively doing wrong, and choosing to do so, often at considerable risk and despite the illegality, public condemnation, or possible consequences of their actions. Epictetus suggests that we ought to consider showing them how they have things wrong, to allow them an opportunity to get them right, fully understanding that many of the erring will not take that offered opportunity as such. He also notes that it doesn’t make sense for us to get angry with them, if we think matters through, when what would be more appropriate to the situation is to feel pity or compassion towards them (in his Greek, eleein, which could be translated by either term). Second, he suggests that our own anger represents a failure on our own part to adopt the right perspective when faced with these kinds of situations, and these sorts of troublesome people. He asks a hard but necessary question to hear, when one is already angry or getting angry with people who not only one takes to be doing wrong, but who are in fact, doing wrong, and doing so quite often: “How is it that you have been so suddenly converted to wisdom that you get angry at foolish people?” From Epictetus’ Stoic perspective, anger on our own parts indicates to us that we ourselves either have not attained, or are straying from, the wisdom that we view as lacking in the “fools”. In Epictetus’ view, the emotional response of anger is always a sign and symptom of something going wrong on our part, not only within the particular situation, but in the overall structure of our thinking, feeling, valuing, and acting. In this chapter, he points out to us an irrationality involved our own responses and stances of anger towards those who are likewise behaving in fundamentally irrational ways. We have the capacity to understand the irrationality, the mistakenness, the error involved in choices those people make that lead them to unjust, counter-productive, selfish, harmful, or unseemly actions – and indeed, ways of living and being. And since we have that capacity, it is up to us whether or not we exercise it. If we do, a more appropriate emotional response is pity or compassion (although it seems that from where Epictetus sits, that’s still a second-best response by comparison to not feeling any “contrary to nature” emotion). It may be difficult, but we can head off, lessen, or at least control our own anger by attempting to understand the other, and we are aided considerably in doing so by realizing that their own bad motivations mirror our own, those that lead us into anger at them. Why do we find ourselves getting – or already – angry? For the Stoics, this emotion is not some random, unforeseeable, occurrence that just happens to us. Nor is it merely an automatic response we have no control over, so that when someone does something offensive, harmful, threatening, or just plain wrong, we can’t help but react with anger. There are intelligible and general processes underlying specific situations in which particular people get angry. Understanding what those processes are, and how they work, is essential to managing or addressing anger over time. Understanding anger as an emotional (and even bodily) response that is not just raw affectivity, but also has underlying thought-processes driving it, allows us to examine those thought processes. And that, in turn, can give us a certain degree of freedom, permitting us to recognize those processes at work, as well as to decide for ourselves whether those thought processes are as reasonable or as necessary as they present themselves to us as being. As Epictetus reminds us at numerous points in our work, our desires and aversions, our choices and denials, our assents, judgments, and assumptions are the sorts of matters that are in our power. As a general rule, whenever we get angry, Epictetus would say, we have gone wrong not only in our evaluation of what is happening – quite literally in the “use” (khresis) we make of external appearances or impressions (phantasiai) – but also in our practical reasoning about the matter in relation to other things. Put in other terms, anger arises because of what it is that we think good and bad, how we order and value things, and accordingly what we desire and are averse to. For each of us, in our own case, if we are to understand, let alone to manage or even master our own emotions – particularly anger – we have to examine what it is that we do value, what it is that we do think to be good, and therefore desire (and correspondingly what we think to be bad, and are averse to). If we’re honest with ourselves, we may find (I know this is the case for me) that there are quite a few externals, matters that fall outside of the scope of our power, things that are strictly speaking neither good nor bad, that we treat as being genuinely good or bad. And we do this precisely because we do think and feel them to be good or bad, making some mistakes in those assessments. In doing so, in many different ways, we make ourselves vulnerable to the world, and in particular to other people, most of whom one should not expect to be fully rational. In fact, as Epictetus points out, the one thing you can really count on them to do is to follow what seems to them – but likely isn’t in reality – rational. In another chapter of book 1, he provides multiple examples derived from classical culture of persons who went tragically astray in their excessive anger – Medea, Achilles, and Agamemnon in particular. In each of these cases, the person was deceived about where the genuine good resided, thinking themselves deprived of what they took to be a good, and they responded to admittedly trying circumstances by becoming very angry and following the dictates of that passion. In Medea’s case, “she regards the gratification of her ire and taking vengeance on her husband as more beneficial than saving her children” (1.28), and she in fact kills her own children as a portion of the retribution she imposes upon Jason. Medea’s is admittedly an extreme case, but whenever we get angry, according to Epictetus, we similarly allow ourselves to be drawn into mistaken lines of reasoning. These bring us to dwell upon certain key matters, getting them wrong in the process – what goods we have been deprived of, what bad things we have had to suffer, and most importantly what good is to be attained through imposing something bad upon someone else, as just retribution or as a merited reciprocal response. How precisely do we get these matters wrong? The specifics will, of course, depend on particular persons in concrete situations. But there are some broad commonalities that can be picked out. One of the most central of these is the assumption that whatever has been done to, or happened to, us should not have occurred – perhaps, if we go even further, we might add that it should never occur, should not even be imagined, and so on. What is the basis for this “should not” that we import, in our judgements and desires, to the situation? At bottom, it stems from wanting things to go our way – things that are, strictly speaking, out of our control, not up to us, but rather up to someone else. We want to keep or attain certain things that might be possible for us, but certainly don’t have to be ours. We also want to be treated by people in certain ways and not in other ways, not least because we view their actions and words as indicative of how they think and feel about us. In short, we want a world of people and events over which we have no real or lasting control to conform to our own desires about it – and when this does not occur, we feel ourselves wronged, get angry, and want to strike back. Developing a solid understanding of he irrationality, the negative consequences, or the counter-productiveness of our anger certainly proves useful. For some people, those insights may even prove necessary, if they are to control or address their anger. But as many of those of us who research the emotion know all too well from experience, simply grasping certain weak points to one’s character, as well as the processes by which one consistently goes wrong, does not by itself change much. A person can engage in analysis, self-scrutiny, or reflection interminably without necessarily addressing a problem. In fact, after a certain point, such theoretical or contemplative work can become a substitute for the practical effort required, much like the people Epictetus jokes about and criticizes, who confuse studying books of Stoic philosophy with actually putting it into practice (e.g. in 1.4 or 2.19). It’s also possible to go one step further, and still not address the problem. A person can make all sorts of resolutions, even work out quite complex plans, and still make no real progress with their anger. Once a person realizes their emotional response of anger to be something bad for them, if they want to work upon their temper, he or she has to choose to do something about it. And there’s two main things to be said about this. The first is that if the person really recognizes their anger as something bad for them, and truly does want to change it, that person has to choose some effective means towards that end. The Stoics offer a number of those means, but the real measure of their effectiveness is what happens when a person really does put them into practice. The second is that when one does make that choice not just to examine and to face up to one’s own emotional response of anger, but to actually do something about it in order to improve one’s character, what that person is doing is using his or her faculty of choice, the prohairesis. This is a use of one’s capacity for choice that bears reflexively upon that very faculty, partly undoing and then reweaving the fabric of one’s character. Put in slightly different terms, we are able to use what we possess of freedom and rationality to increase that very freedom and rationality, thereby rendering ourselves more free, more rational through that very work. At numerous points in the Discourses, Epictetus reminds us of the centrality of bringing and maintaining our prohairesis “in accordance with nature” as the primary good. Over and over, we are faced with making choices between the alternatives of keeping our prohairesis in accordance with nature or pursuing something else that we view as a good (or conversely avoiding something else that we take to be an evil). When we choose that something else, we would like to tell ourselves that the option before us is not an exclusive one, but Epictetus relentlessly stresses that it is, often using mundane examples. Reminding ourselves what precisely is at stake is something that we can do to stiffen our resolve when we have to deal with our own anger, something that is admittedly difficult to do at first, since it means opposing a portion of oneself that is already pressing upon us, trying to direct our faculty of choice, to hijack our thinking, to dominate our feelings. If we’re making progress along the Stoic path, one recourse we have is to pause and consider that in giving in to anger, we direct our prohairesis away from a state of conformity to (not even to mention harmony with nature). In resisting it, in not allowing it to sweep us away or seduce our reasoning, we maintain our prohaireis in accordance with nature. Good or bad, what’s fundamentally good for us, or damagingly bad for us – that’s our choice. Now though, that is rather abstract, isn’t it? When we are already agitated by anger, how many of us really find an appeal to the ideal of a prohairesis in accordance with nature all that compelling? Answering this requires a modicum of honesty about one’s own moral condition, because if the Stoics are right – and I think they are about this – such a consideration ought to be more compelling the more progress we have made. And if it isn’t all that helpful for us in actual situations in which we feel anger, then that is an index of the lack of progress we have made. So, what else might we choose to do in order to manage our anger effectively? Epictetus does offer us a number of more concrete suggestions. Each of these, technically speaking, is a general way in which, whether we realize it or not, we do choose to bring or keep our faculty of choice in accordance with nature. In the aforementioned interests of keeping this post from becoming overly long, I simply list several of these more specific techniques or considerations here, with a brief description of each. #1: Understanding Reasons Why – As noted earlier, people act the ways they do for reasons that we can understand. While people who engage in actions likely to anger us typically have irrational assumptions, thought-processes, emotional responses, desires, etc., what they do does seem rational to them. If we can see what they do as partly rational and partly irrational, it makes sense to us, and we then are less bothered by it. #2: Distancing From the Appearance(s) – We are confronted constantly with all sorts of “appearances” (phantasiai) which suggest to us how they ought to be taken, and play into our own matrix of desires and aversions, opinions and assumptions. We don’t have to automatically assent to them, and this goes particularly for those that typically make us feel angry, for instance appearances having to do with whether we are being harmed or insulted, whether other people intend to harm or insult us, and so on. #3: Reminding Ourselves of Our Humanity – When we fall into various moral failures, we metaphorically resemble certain classes of animals. Those having to do with anger are dangerous beasts of prey, engaging in behavior appropriate to them as animals, but not for us as human beings. Thinking along these lines, we can “bring before our eyes” what it is that we look like when we become angry (a classic anger management technique). We can also remind ourselves that, as human beings, we possess capacities for choosing how we respond, and for approaching matters rationally. #4: Removing Ourselves From Competition – If we take what other people view as goods (which are really externals and indifferents) to be genuine goods, we will inevitably be drawn into conflict (makhe) with other people over those goods (and also experience inner conflict as well – though that’s a separate topic). When we find ourselves getting angry – particularly when in contention with other people – we can remind ourselves about what status these externals have, and that we needn’t place ourselves into competition over them. #5: Fulfilling Our Roles Towards Others – When we get angry with others, and particularly when we act upon that anger towards them, we typically transgress (at least in part) the role and the accompanying duties we have in relation to those people. We do have a choice whether we maintain, or even restore that role (being a friend, a neighbor, a fellow citizen, a family member, etc.) within ourselves, or whether we give in to anger. Conversely, we can also head off anger we might feel towards them when they don’t fulfill their own roles towards us, by realizing that this is their failure, and not up to us. In a follow-up post here later on this Summer (or early this Fall), I’ll expand on each of these strategies, provide discussion of several additional approaches found in Epictetus’ Discourses, and also examine the role our habits play in addressing anger. Gregory Sadler is the Editor of the Stoicism Today blog. He is also the president and founder of the ReasonIO, a company established to put philosophy into practice, providing tutoring, coaching, and philosophical counseling services, and producing educational resources. He also works as an executive coach and ethics trainer for Priority Thinking, produces the Half Hour Hegel series, and is a team member of (Slow) Philosophies. One of the more troublesome of human emotions is that of anger. It was just as much so in antiquity as it remains for us today. Anger is one of the more complex and paradoxical emotions, seemingly arising from natural drives, desires, and aversions common to human beings, but also interconnected in so many ways with moral notions such as right and wrong, merit and expectations, valuing and disvaluing, and especially with a conception of retribution, setting things right, or making another suffer in return. Playwrights and poets, historians and politicians, philosophers, rhetors, and religious thinkers – even unnamed people passing down proverbial wisdom – concerned themselves with understanding and addressing this difficult and often destructive emotion. Although we enjoy a number of advantages over ancient people in our late modern present time, on many topics, they still have much to teach us. I think this is particularly so in matters concerning the emotions, rationality, habits, choices, relationships, happiness, and the goods around which we orient our lives. Anger fits solidly within the matrix of those concerns, and the Stoics in particular provide a lot of valuable considerations and advice about that emotion. (In the interests of full disclosure, however, I should mention that although I draw upon Stoics as a resource, I’m not in full agreement with them at every point about anger). As editor of Stoicism Today, one of the perks of the position is regularly contributing posts that might be of use, value, or interest to the readers of the blog. In a post last month, I set out my intention to write a series in the following months, dealing specifically with the issue of anger and what Stoic philosophers can contribute to understanding and addressing it today. That first post was rather general, and of what you might call a promissory or projective nature. With this post, I intend to start making good, by providing some substantive discussion of what Stoics can tell us that helps in dealing with anger in the present. I’ve decided to start with Epictetus’ teaching about anger. Although Epictetus did not, as Seneca did, compose a treatise specifically about the emotion of anger, he did delve into the subject, and provide some very useful passages of advice, argument, and explanation in the course of his teaching, a portion of which we still possess thanks to his student Arrian. What he has to tell us from a Stoic perspective can be divided, along very broad strokes, into how we can understand and address our own anger, and how we can understand and approach anger felt and exhibited by others, in some cases towards ourselves. I’ll address his teaching bearing upon our own anger in next month’s post. In this post, I’m going to focus on a portion of what he has to tell us about dealing with everyone else’s anger from a Stoic perspective. Although he doesn’t mention anger directly as a motive in those passages, there are also many places where Epictetus refers to the threats that others, particularly the powerful, may make against others. One can presume that in many cases those sorts of reprisals would stem at least in part from the feeling of anger on the part of the person who threatens to inflict them. Given a long enough period of time, in any group of people, within any organization or community – and in our own time, especially, given any website, video channel, or blog that draws enough views! – someone is likely sooner or later to get angry with someone else, and probably express it as well. Often anger on one person’s part will arouse anger on another person’s part in response. That is the reality in which we live, and it isn’t one radically different in its general features from the reality of the culture Epictetus himself inhabited. Quite likely, from a Stoic perspective, that’s also how we can expect human beings to be in any probable future as well. A person can experience or adopt multiple responses on their own part to other people’s anger – whether it be directed against oneself, directed against yet others, or even anger more generally and globally expressed. Quite often our responses to other people’s anger are not reflective but more reactive. These usually involving some thought-process or practically reasoning that is implicit rather than explicit. It is quite common, looking across the range of responses for our own emotions to be involved, also at times in ways we are not entirely aware of. Some people actually ignore or seem oblivious to the feelings of other people, and that is one way to not have to deal with other people’s anger. Although people often use the term “stoic” in a very broad sense for that sort of attitude, that isn’t actually how a Stoic in the strict sense would suggest that we ought to live. And in quite a few cases, what underlies the surface façade of such detachment is rejection of other people, their actions, and their attitudes, indicating some sort of emotional attachment and conflict still present in the person. Witnessing or bearing the brunt of other people’s anger can cause, contribute to, or intensify a range of emotions on our own part. One of the most common ones is fear, but we can also feel pain, sadness, even despair. Another common emotional response, which can be fed by these others, is to become angry oneself in response. In all of these cases, we can rightly talk about a person being “troubled” or “upset” by the anger of someone else. The classic Stoic view on emotions, which Epictetus accepts as a basis, is that emotional states are not simply affective. They involve judgments or assumptions, and usually some process of practical reasoning, made on the part of the person feeling the emotion. What should our responses be to the anger that others exhibit? What insight does a Stoic philosopher like Epictetus (who certainly had to deal with this himself) have to offer us? Answering that will involve asking several other questions. Why are we bothered or affected by an emotion someone else feels, expresses, acts upon (or even just might feel, for instance when we worry about making someone angry)? How should we evaluate the reasons why another person’s anger affects us in light of basic Stoic doctrines? There are several ways that this classic and fundamental distinction made by the Stoics, between what is in our power, what is our business (ep’ humon), and what isn’t (ouk ep’ humon) applies to the issues raised by anger. Three of these are other persons’ emotions as externals, possible consequences of anger felt by others, and our responsibility for the emotions of others. In Epictetus’ view, we do not, in any real sense of the term, control or determine how other people feel, think, or respond. That, just as much as things like the weather, our possessions, the state of the general economy, what gets published in any given newspaper, and so on is not something that falls within the providence of what is up to us. The feelings and thoughts of others are, to use the technical term, “externals” and “indifferents”. They aren’t the sorts of matters that we ought to allow to affect us. But, of course, we often do, and in the process effectively hand over control over our own psychological condition to other people or to the world more generally. We may also be bothered or troubled by the anger that other people feel precisely because of how that anger manifests itself, what sorts of choices and actions it leads to, or even the threat of what a person who is angered might do. If we step back and examine why someone else’s feelings affect us in this way, we can then realize that it is because we care about – in Epictetus’ language, we have desire and aversion in relation to, and have assumptions, judgments, and assents about – what can indeed be affected by another person’s anger. If, for example, we are concerned about our possessions, our bodies, our social status, our positions, this makes us vulnerable to the effects of what other people might do or say in anger. Even for a person who recognizes that, strictly speaking, another person’s feelings and judgements are something lying in his or her control, not within the scope of our own power, and who isn’t overly concerned about the external things that could be affected by another person’s anger, there could be another concern. It does seem up to us whether or not we do things that are liable or likely to make given people angry. So it seems that we then bear a kind of responsibility towards them, especially if these are persons who we are in some way connected with, people towards whom we have some kind of role and corresponding duties. Two reminders Epictetus provides us can be quite helpful here. The first is that “Nobody is master over another person’s faculty of choice” (4.12), that is, each person ultimately is responsible for their own use or misuse of their prohairesis (their faculty of choice, or “moral purpose”). The second is that Stoicism stresses a choice, or better yet, commitment that needs to be made. The anger that other people feel and show can be very troubling to us, and a common question that people ask is: Why? This unfolds into a host of additional, more specific questions. What made this other person angry? Why did that make them angry? Why do they do the things that they do when they are angry? Why do they have to go so far in their anger? Who are they really angry with? Don’t they realize they are going too far, being destructive, throwing good things away for the chance to impose some kind of retribution? Although it might seem at first that Epictetus is simply lapsing into a type of relativism about these matters, that isn’t the case. In fact, this variance among human beings about such fundamental issues of value is one reason he advocates education (paideia) and discipline or training (askesis) so strongly and consistently. We don’t start out naturally inclined to get these sorts of matters right, and we inhabit cultures in which most people are getting them at least partly wrong as well, in their concrete application. Stoic philosophy, when actually practiced (rather than just read, talked about, or thought about) helps to get these matters straightened out for people. So, coming back to anger, when we ask about any given person questions as to why he or she gets angry, does or says these or those sorts of things when angry, holds grudges, takes offense – anything along those lines – the general answer is that, however it happened to be that way, what that person is doing seems reasonable to them. It seems to them, at least in part – since of course they can find themselves conflicted about it – that getting angry, and acting upon their anger is what they ought to do. “I can’t let that person push me around,” a common line of reasoning closely connected with the feeling of anger runs. “If I do that, they’ll just keep it up. I’ll show them they can’t treat me like that.” That’s a person to whom it seems not only reasonable, but as the most rational thing to do, to get angry and to retaliate. That person may be entirely off-base – and Epictetus (along with the other Stoics) thinks that to be the case – but unless somehow that person’s viewpoint on these matters is changed, we should expect them to do what seems (wrongly, but reasonably) to seem most rational to them. We have a number of ways in which we can deal with or address other people’s anger. As noted earlier, we can reframe our own perspectives – though of course, this takes time to be able to do consistently, easily, when we want to – so that we rightly view and then respond to the anger of another person as something that is outside of our control, and only affects other things that are outside of our control. As we just noted, we can also understand the other person’s emotional response, and angry action or expression, as something that does seem reasonable and right to them, even if it isn’t really reasonable or right from a more adequate perspective. Another thing we see Epictetus stressing is that it is up to us how we ourselves respond in relation to the angry person, particularly with those with whom we have some sort of relationship, a role that we occupy or play, and towards whom we thereby have duties or obligations. Typically the other person similarly has duties or obligations towards us as well. A common sort of case that Epictetus addresses is when one of our family members is angry with us, and for that reason behaving badly, in ways that don’t conduce to being a good sibling, or parent, for example. It is still up to us whether we feel and act as we ought to towards that person on our own part. That is, as Epictetus frames it, a decision about whether or not we want to maintain the good brother or sister, the good child or parent, the friend, the neighbor within us. That is something that does lie within our power when faced with an angry person, who is not fulfilling his or her own roles in relation to ourselves. This isn’t to say, of course, that Epictetus simply advocates taking or tolerating whatever abuse, recriminations, argument, or other effects that person’s anger produces. It seems entirely consistent with Stoic principles of making good use of, e.g. the body, to remove ourselves from situations in which violence is occurring or being threatened by a person in a rage. Likewise, it might even be an expression of the virtue of courage to intervene in such a situation in which others are threatened, particularly those who are especially vulnerable, like children being bullied or abused by angry adult parents. But, these sorts of legitimate responses to aggression stemming from anger can be done in a variety of manners, which don’t require us becoming angry on our own part. An important question remains, however, if we get away from those more extreme situations, and consider the people we interact with daily, who may exhibit all sorts of problems with anger. What should our approach or attitude be towards them? Epictetus provides us with three useful bits of advice, each of which sets out one line of behavior and attitude for us. In dealing with the anger of other persons – anger that from a Stoic perspective, will inevitably be unreasonable, but appear quite reasonable to the angry person – we could simply be unaffected emotionally. But if our emotions are going to be engaged, a feeling of “pity” (eleos), or to use the term people prefer in the present “compassion” is a much better response than anger, fear, disgust, or other negative emotions. If studying and adopting resources from Stoic philosophy does help people deal with, and perhaps even eventually eliminate, the emotional response of anger, then it is up to Stoics who aim to preach about this to others to show those others not just how it works, but that it works. (Full disclosure here – I’m not a good example in this respect, though I’m working on it). He likens the “multitude”, or as we might say today, our “general culture”, to children who come up to us, cheerful about a holiday, thinking everything is well. It is better not to bring up that everything isn’t well, not to “rain on their parade”, as our contemporary expression goes, but to be cheerful towards them. He suggests then that if it turns out that you can’t get a person to change their perspective, for example about the anger they feel and express, to either just leave them alone or to exhibit that sort of cheerfulness. And so, in the next post in this series, we will turn to the closely connected topic of what Epictetus has to tell us about our own anger. Please do not let this title alarm you and perturb your Stoic tranquility! Musonius Rufus (c. 20-30 AD – 101 AD), Epictetus’ revered teacher and mentor, would not have us counting calories, carbohydrates or any such thing. (Calories and carbohydrates would not be discovered until more than 1,700 years after his death, and even if he knew about them, he surely would have felt we have more important things to do!) Indeed, I speak here of diet not in the sense of some exotic, time-limited food regimen designed to take off a few pounds, but diet in the sense the usual or habitual food and drink comprising one’s daily sustenance. The Stoics saw philosophy as an art of living that should guide all of our human behaviors and seek to harmonize them with nature. As several of Musonius’s discourses on food, clothing, housing, and even shaving show, Stoicism was (and is) a practical philosophy for living a good life; therefore, even the most mundane and seemingly un-philosophical of topics make fitting grist for the Stoical mill. What Has Food to Do with Philosophy? To sum up the question of food, I maintain that its purpose should be to produce health and strength, that one should for that purpose eat only that which requires no great outlay, and finally that at table one should have regard for a fitting decorum and moderation, and most of all should be superior to the common vices of filth and greedy haste. Note then how these vices act in a sense like eight deadly dominoes, each on setting up the man in its thrall to fall into the next one. 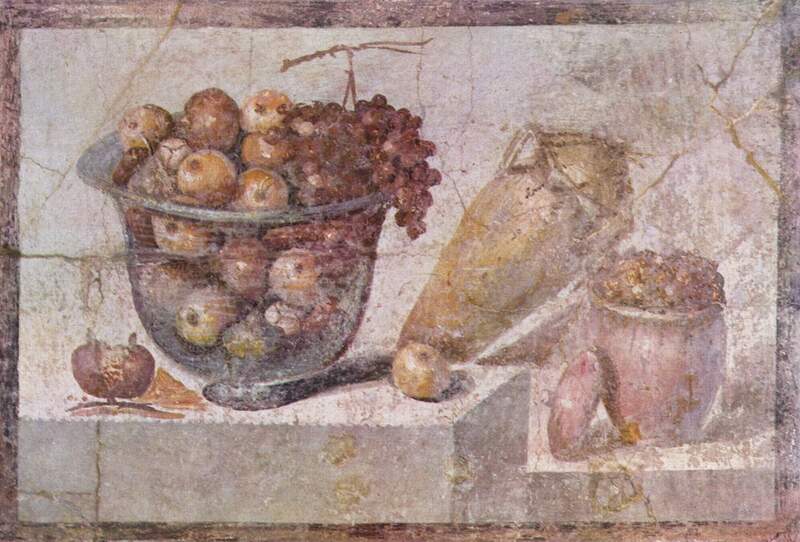 Citing Socrates before him, who said we should eat to live rather than live to eat, this is why Musonius counseled a moderate intake of simple, inexpensive, natural, healthy foods (No wonder Musonius explained in Discourse 11 that the best job for a philosopher was that of a farmer!). It is always an interesting thing when modern scientific research “discovers” what ancient philosophers discovered long ago through ordinary experience examined by rigorous reasoning. The modern, so-called “Mediterranean Diet” is patterned after the kinds of foods and drinks traditionally consumed by the peoples of countries surrounding the Mediterranean Sea (like Greece and Italy, of course). The base of this diet’s pyramid is formed by a daily predominance of fresh fruits, vegetables, whole grains, nuts, beans, legumes, herbs, spices, and olive oil, with at least a few weekly servings of fish and other seafood, less frequent and moderate portions of eggs and dairy foods including yogurt, a very limited intake of meat and sweets, and the optional consumption of red wine in moderation. The Mayo Clinic and many other respected medical sources tout this as one of the world’s healthiest diets for maintaining ideal bodyweight and reducing the risk of heart and other diseases. When U.S. World and News Report gathers nutritional experts to rank the world’s best and worst popular diets among dozens of contenders each year, the Mediterranean Diet comes in each year in the very top few. How fascinating to consider that the Mediterranean Diet and a so-called, “Musonius Rufus Diet” would be just about the same thing! Indeed, Musonius warns against food imported from distant lands and he notes that people who eat the normal, inexpensive foods of their own region are healthier and stronger than those who crave exotic foods not a part of the standard Mediterranean fare. He even declares that slaves and country people who eat such simple native foods are healthier, sicker less often, less fatigued by labors, work harder, and become stronger than their masters and people who live in the city. Remember, you must behave as you do at a banquet. Something is passed around and comes to you: reach out your hand politely and take some. It goes by; do not hold it back. It has not arrived yet: do no stretch out your desire out toward it, but wait until it comes to you. Kevin Vost, Psy.D., has taught psychology and gerontology at Aquinas College in Nashville, Tennessee, the University of Illinois at Springfield, MacMurray College, and Lincoln Land Community College. He has served as a research review committee member for American Mensa and as an advisory board memory of the International Association of Resistance Trainers, an organization that certifies personal fitness trainers. Dr. Vost is the author of over a dozen books including The Porch and the Cross: Ancient Stoic Wisdom for Modern Christian Living (Angelico Press, 2016). Cora Lutz, Musonius Rufus Fragments (New Delhi, India: Isha Books, 2013). Pride is often included in the list instead of vainglory. Gregory, like St. Thomas Aquinas after him, included vainglory among his seven, identifying pride as a yet more profound sin, one that gives rise to the deadly sin of vainglory and to all the others. St. John Cassian, The Conferences (New York: Newman Press, 1997), pp. 183-196: http://www.pigizois.net/agglika/on_the_eight_deadly_sins.htm. Musonius Rufus: Lectures and Sayings, trans. Cynthia King (CreateSpace.com, 2011), 73. Nicholas B. White, trans. The Handbook (Encheiridion) of Epictetus, (Indianapolis: Hackett Publishing Company, 1983), 15. A lady in the village where I live wrote a poem about how we need to celebrate more which I agree with. So what I do is, every day at 10am I celebrate something. It could be something major or something small, for example I could be at home on a lovely sunny day and at 10am I could go into the garden and listen to the birds singing and celebrate that. Or I may have just had a lovely phone call from a friend which is something to celebrate. I’ve been thinking a lot about Stoicism recently and because my daily celebration has helped me so much I wondered if I could relate it to modern day Stoicism. I’m certainly no expert, but I’ve found that Stoicism has been a huge help in my recovery from a traumatic brain injury and I’ve become really interested in learning about how it can be applied to modern day life through the excellent ‘Stoicism Today’ website, the people who run it, and the Stoic weeks that are organised. So this is my own view on the celebration idea. One of the activities in Stoic Week was to take time out in the middle of the day to meditate. I did find it ever so effective but it didn’t necessarily fit in with my day, so this is a way of reflecting to fit in with what I’m doing. I’ve come to the conclusion that adapting is a way of being Stoic so by reflecting on something in a way that suits what you’re doing at that moment seems quite appropriate. Celebrating doesn’t have to be done in a big way, it can just be done quietly in your own mind. In my own way I’ve had to adapt since my accident. One of the things I used to do was running in my local half marathon but because of my balance and spatial awareness problems I can’t do this any more. I’ve discovered though that I can run on the spot indoors so that’s what I do now as cardio vascular exercise. Perhaps I could do it at 10 o’clock one morning and celebrate that! Stoicism is about accepting that there are some things you can’t change; it’s the way you deal with it that matters. I can’t change the fact that part of my brain has been damaged so I have to adapt. A lot of people see Stoicism as ‘stiff upper lip’ but by celebrating something once a day I don’t see it as that. I think it’s recognising that yes, there are problems, so you go out of your way to just think of something good. I’ll never forget the kindness of one lady who posted a reply to one of my early blogs when I was trying to get my head round what had happened to me and find a way to cope. She said ‘Be like the headland, with wave after wave breaking against it, which yet stands firm’. I now read one of the Marcus Aurelius meditations each day and I was really pleased to see that this is one of his meditations. I often find myself thinking of it because it’s such a strong image (and I live round the corner from the sea!). So I got to thinking how the celebration idea could fit in with it, and I see all the problems going on both personally and globally as the breaking waves and the headland as the celebration. So I’d recommend celebrating something every day at a time to suit yourself, and do something physical or just reflect quietly just as it suits you at the time. It means that you don’t take things for granted, perhaps it may be something as simple as enjoying a nice cup of coffee. I know myself that tomorrow morning at 10 o’clock I’ll be able to look back on writing this blog and see how far I’ve come since my accident 10 years ago and how terrible I felt when I was just starting to learn about Stoicism. About the author: After Helen Rudd’s traumatic brain injury in 2006 she was in a coma for three weeks and was severely depressed when she realised how much her life had changed, mainly because she was no longer able-bodied. Through stoicism her life has opened up and she now makes the most of every day. As the mother of a baby, I often hear admonitions and complaints from fellow parents about how hard parenting is and how stressful it can be to take care of children, particularly babies and toddlers. Sleep deprivation, constant work, loss of former lifestyle, expense, societal disregard for the importance of parenting, and lack of paid parental leave all top the list of concerns. Practising Stoics know that the quality of our thoughts about something dictate how we feel about it. With the right attitude, parenthood need not be a constant struggle; it can be fertile ground for eudaimonia, or a contented state of human flourishing, regardless of inherent hardships. This 2300-year-old philosophy is particularly applicable to common concerns that parents face today. Babies and small children require non-stop care. Parents often grumble about the amount of work that is involved in taking care of children, and how it must be accomplished in spite of everything else we have to do during the course of our busy day. With the responsibility of having a baby in the house, it often happens that an entire day, or even a week will pass without me being able to cross various tasks off of my growing to-do list, which can be very discouraging. Focusing on the present moment has helped to prevent me from being overwhelmed by responsibilities and anxieties about the future. Rather than the endless mental chatter of “Will the baby go down for his nap? Will I be able to get anything done today?” I concentrate on doing each thing one at a time. I am able to enjoy what I am doing more and not get bogged down by a pressing list of tasks and concerns. One dilemma that American parents face is that society doesn’t seem to place as much value on the act of raising children as it does on pursuing a successful career or earning money. This is evidenced by the fact that the United States is the only country in the developed world without any paid parental leave. There is also a common tendency to look down on stay at home parents of both genders. The later Stoic philosophers, including Seneca and Epictetus, deeply valued parenting as a gift to society. Musonius Rufus, best known for being Epictetus’ tutor, advocated for the philosophical education of women and pointed out that philosophy was particularly applicable to the raising of children and management of the household. In the first place a woman must run her household and pick out what is beneficial for her home. In these activities I claim that philosophy is particularly helpful, since each of these activities is an aspect of life, and philosophy is nothing other than the science of living, and the philosopher, as Socrates says, continually contemplates this, ‘what good or evil has been done in his house. A popular parenting book entitled All Joy and No Fun: The Paradox of Modern Parenthood, stresses that parents are often less happy than their childless peers because of their expectations about parenting. The author, Jennifer Senior, posits that parents often believe having children will make them happier, but the reality of dirty diapers and 3:00 AM awakenings is vastly more difficult than they had anticipated. Many parents are well into their 30s and financially independent by the time they have children, and are distressed at having to give up the lifestyle, hobbies, freedom and income that they once had. By bringing our values into accord with the Stoic virtue of sophrosyne, or moderation, we remember that life isn’t about being entertained and having fun; such things are indifferent for our happiness. Since only virtue is necessary for happiness, being good and doing good, our lives shouldn’t be spent in pursuit of indifferent distractions. Many aspects of parenthood are out of our control. We do not control our child’s temperament, his sleep, his health, and so on. While sleep deprivation is a given, a baby’s sleep, or lack thereof, is not fully within our control. It is easy to feel frustrated after pulling yourself from your warm bed in the middle of the night for the fifth time, and equally hard to be philosophical when operating on very little sleep. Parenting well, indeed living well, relies on being able to keep your emotions in check and your perspective on a situation relatively placid even if the situation is difficult. Instead of thinking, “Dear God, why won’t my son sleep?” I try to remind myself that not only is this is phase quite temporary, but it’s in a baby’s nature to wake up at night. I cannot control his nature. I find it helpful to keep my thoughts confined to what I can control; how respond to him. Since I cannot change my son’s nature, I also don’t worry about comparing his sleep habits to those of other babies, or about trying to “train,” him to sleep. I try not to become frustrated each time the situation changes, because like everything in life, it is transitory. Certainly no one can be the perfect parent, always mentally tranquil and perfectly composed, given the inherent frustrations involved with raising children. The best we can do is to be good helpers and role models for our children, continually striving for excellence. Lutz, Musonius Rufus, the Roman Socrates (1947). For Seneca, it is by understanding what anger is that we can avoid it or seek the appropriate therapy. This implies that it can in fact be avoided. In De Ira, Seneca proposes a Stoic cognitive view of anger that consists of a series of physical and mental steps, or qualifications, to meet the definition. The cognitive aspects that define the emotion are within our control. Anger, for Seneca (and his view is quite orthodox Stoicism), is a species of desire- a desire to take vengeance for a (perceived) wrong. (1.2.3b) Moreover, anger involves various physical and mental phenomena (phantasiai, impressions in Stoic parlance) and beliefs or judgments about those phenomena. Let’s begin with the formulae for pathe, emotions, as viewed from within Seneca’s philosophical tradition. The third scholarch of the Stoa, Chrysippus, had systematized the following criteria that must be met for a belief of judgement of this sort to be a pathos: 1) it must assert that something is good or bad; 2) it must be recently formed; 3) it must be false; 4) it incites an excessive impulse. (Gould, 191) The excessive impulse here means that it is irrational- excessive and disobedient to the dictates of reason. By this criterion, in the grips of a passion we first assent to the impression that something is, say, a punch in the face. We may experience psychosomatic responses (a flash of spirited feelings, quickening of the pulse, etc.) due to the initial impression which is involuntary: the sense-perception of being struck, and the supervening bodily responses. What follows in anger is an assent to the impression that this is an undeserved offense and that it is appropriate to seek retribution for the perceived harm. This leads to, but is not yet, anger. Anger manifests when these judgements become disobedient to reason- that is, they incite excessive impulses that are no longer controllable. By Stoic definition anger is always excessive and harmful. The utility of Seneca’s discussion is that it allows us to be aware of the pre-emotions that lead to our false judgements and to anger if left unchecked. Seneca outlines the steps to anger in Book Two. The first part of the emotion, or pre-emotion, is what later came to be referred to by the Alexandrian Christian authors as propatheiai. These are the involuntary psychosomatic responses that are not under our control. When referring to anger, this initial phantasia is, for Seneca, merely the “first mental jolt produced by the impression of an injury.” (2.3.5) The pre-emotion, the impression (not the judgement) that one has been harmed, is not anger because by itself it does not yet involve the subsequent judgements. Reason cannot overcome them, although Seneca suggests that “perhaps their force can be lessened if we become used to them and constantly keep a watch for them.” (2.4.2) We perhaps cannot help that some things seem terrible (e.g. an assault) or that some things seem good (e.g. revenge), but as rational agents we can decide whether or not we assent or withhold assent to those impressions. In modern terms, Seneca’s discussion allows us to realize that we are experiencing the feeling of anger without necessarily having to experience the emotion of anger. By understanding our involuntary psychosomatic responses, and understanding that it is not necessarily the case that we have been offended, or at least that it is not the case that revenge is now appropriate, we need not experience these negative, destructive emotions. We often confuse these initial responses for emotions and believe we must, or that it is appropriate to, act in a certain manner. A vivid example can be borrowed from the popular psychological story, James and the Bear, for the sake of understanding Stoic propatheiai. If James were asked what falling in love feels like, he might give a description of his psychosomatic responses: weakening of the legs, shaking of the hands, dizziness, paleness, a sudden loss of mental ability, etc. Yet if James is asked what terror feels like, his list of psychosomatic functions may be identical, or at least overlap significantly. But when James walks through the woods and is suddenly confronted with a snarling bear, there is no question which of these previous emotions he is experiencing despite their similarity in feelings. It is in the judgements about the impressions (that being mauled by a bear is an evil in prospect, and that it is appropriate to be terrified) that lead to the emotion of terror. The initial impression of the snarling bear and the accompanying psychosomatic responses are involuntary, but the judgements that lead to the emotion are not. Similarly, when Seneca is confronted with an irritating impression (a slanderous insult, or to keep with our theme, a punch in the face) he can have the feelings of anger (which are unavoidable) and still understand that these feelings are not yet anger. He can judge that nothing evil is happening (due to his Stoic axiology) and not have to contend with the further belief that retribution is warranted. Also there will be no chance that these judgements will be carried to an excessiveness that is disobedient to reason, and hence Seneca will not experience the pathos of anger. The Stoic model is useful and plausible for anyone threatened with becoming angry, and can provide emotional therapy even for those who do not accept adiaphora- the Stoic axiological doctrine of the indifference of externals. Gould, J. (1970). The Philosophy of Chrysippus. Albany: State University of New York Press. Seneca. (2010). Anger, Mercy, Revenge; translated by Robert A. Kaster and Martha Nussbaum. Chicago: University of Chicago Press. Despite the focus on the Stoic account of emotion in recent years, it is important to note that the sufferer of the emotion is not healed when the emotion has passed due to time (2) or because it no longer excessive (4). The sufferer may still erroneously believe that there is good or evil present or in prospect, and this is the fundamental error, rather than any damage that the emotion can cause. Moreover, the sufferer may have the false belief that it is appropriate to be elated or angry or grieved. It is these false beliefs, and their extirpation, that are the foundational problems. The Stoics argue that this is the time for their cognitive therapy- after the impulse has downgraded from emotion to merely false beliefs about the presence or prospect of something good or bad, and the further judgment of the appropriateness of the emotion. By ‘offense’ I mean that we here judge the strike as something bad that has happened. This is the first of the false beliefs in the Stoic view. According to Stoic axiology (that only the agent’s own vice is a present evil), this judgment errs. Or any of the pathe, which by definition involve a false belief. The two need not coincide, e.g. the park ranger may have the (false) belief that being mauled by a bear is an evil in prospect, but not have the further (false) belief that it is now appropriate to be terrified. That is, those who believe that it is not the case that there is no evil present- or more simply, those who believe e.g. being punched is a present evil. They may have this belief but realize that it is not the case that one must act in a certain manner (seek revenge). Moreover, non-Stoics can accept that pre-emotions are not yet anger and can only lead to the pathos of anger if they assent to the impressions.